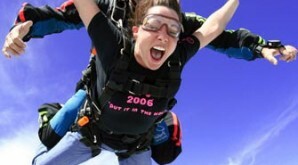 Mingle Media work strategically with Skydiving Burnaby to execute a summer program for skydiving trips across Ontario. Build their brand and market penetration increase goal. It’s been our second year with them and the bookings are going through the roof. The lead generation program opened new doors for group bookings and team building programs on the wild side of life.